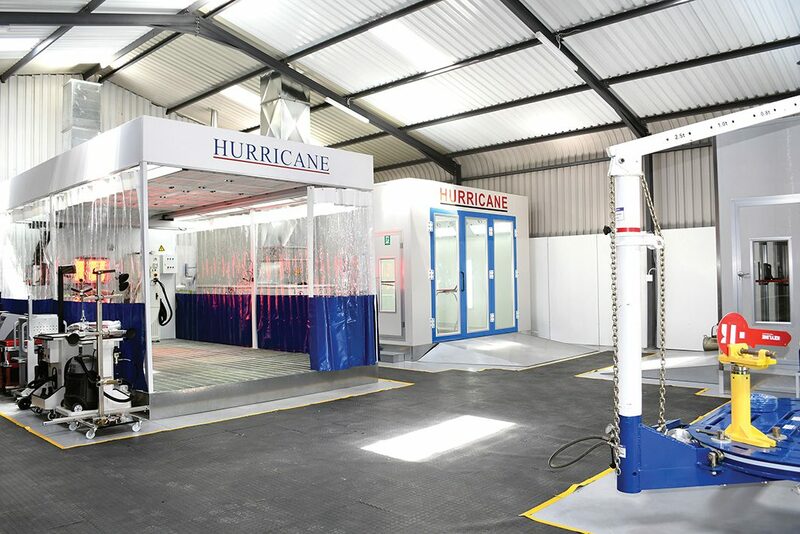 Keeping pace with trends, a new waterborne refinish spraybooth has recently been introduced into the local market with a host of innovative high quality and energy saving features from Hurricane Equipment. Andrew Mackie says the unit will exceed many of the European legislated laws that are needed for various health and safety criteria. The unit is 7.2 metres long externally and comes standard with two doors for entry along with a stainless steel door structure. The wall cladding uses rockwool E.P.S insulated wall panels which hold heat both faster and better than their less expensive counterparts. Air flow volumes are set at 350 air changes per hour and a newly designed electrical control package 3 phase energy saving system is installed in the Europa. Along with this, the floor base utilises galvanised steel grating and spraybooth come with 2 ramps of 500 x 200 mm lengths. The Europa has a full 4 stage pre-filter ceiling filter, fiberglass floor filter plus activated carbon final filter. Lighting can be changed to meet individual customer requirements. The Europa is filled with the highest quality of filter media to maintain positive pressure spraying conditions which will result in increased operator comfort and higher quality repair jobs. “The proposed waterborne Europa pricing will be introduced with a value price into the high end of the market,” says Andrew. At R290 000 plus VAT, complete with LED lights, and the latest generation turbo fans. 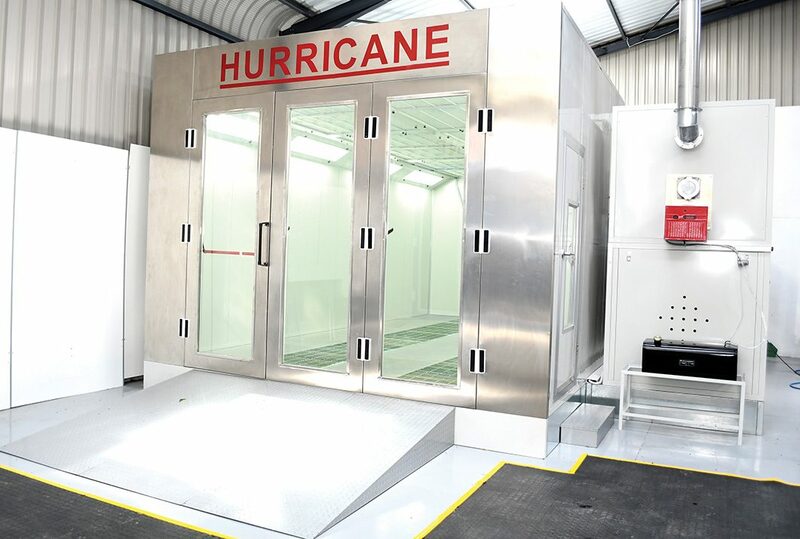 This will add to their revised and upgraded infra-red rail system now being offered on the preparation zone they have designed with new energy boxes and operating at the new Hurricane Demonstration Centre in Midrand.